What is pig oil and sulphur? Pig oil and sulphur sounds a rather grim mix, but it’s actually a brilliant combination of products that has been used for a long, long time as a way to help prevent mud related conditions, such as mud fever, in horses. Here’s a bit about why pig oil and sulphur work so well together, and what both elements add to a mud based product. First of all, let’s look at pig oil. The doesn’t sound particularly appealing but its other name, mineral oil, sounds a lot better! Its consistency makes it easy to rub into feathers, to help provide a water repellent barrier between the horse’s skin and the mud. It’s often used on heavier horses due to this, but can also be effective on those with less feather as it gets through the hair, right down to the skin. And, as for the name, it was originally used on the skin of pigs, to help keep in it good condition and stop it drying out. Sulphur, or flowers of sulphur in this case, is an anti-bacterial agent, also called sulphur powder. It has a bright yellow colour and has been used to support skin health for centuries – not just mud fever – sulphur is also used to support other skin issues too. When combined in a product like Mud Slide Lotion, or mud product that uses flowers of sulphur and pig oil, you have a product that’s easy to use, easy to apply (even if the horse has heavy feathering), helps maintain healthy skin and, because of pig oil’s mud and water repellent nature, the mud just slides of after a day in the field! 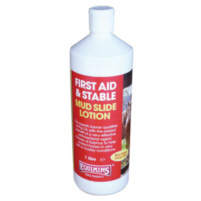 Mud Slide Lotion is part of our First Aid & Stable collection. 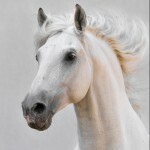 To find out more about Mud Slide Lotion or any of our mud products designed to help keep your horse’s skin healthy when exposed to the mud and wet that winter brings, just see the website.